Starting on Sunday, 6 July, Iberia will offer daily return flights between Madrid and Panama City. 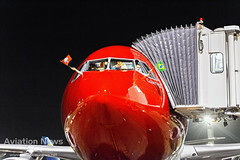 The Spanish airline will thus better connect its European destinations with Panama, one of Latin America’s most attractive and fastest-growing countries. Iberia is the sole airline to provide unbroken service to Panama since 1971. 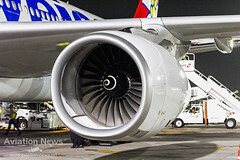 The increase in flight frequencies will also help consolidate Iberia’s market leadership on routes between Europe and Central America, where the airline also flies direct from Madrid to Guatemala City, San José de Costa Rica and San Salvador, also offering good connections to Managua, Nicaragua and Tegucigalpa, Honduras, with local airlines. 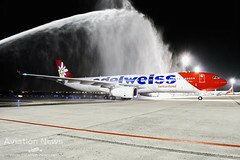 Iberia uses Airbus A-330s and A-340/600s on its Panama route. The former are already equipped with newly-designed cabins, seats, and entertainment systems, and the latter are gradually being fitted with the new interiors. The new Business section features seats that unfold into flat beds nearly two metres long, which are located in individual pods offering more space and privacy. The configuration of the Business section lets passengers enjoy greater autonomy and privacy, and to work and relax in maximum comfort. All seats have direct access to the aisle. Getting rave reviews from passengers are Iberia’s new, individualised, à la carte entertainment systems on its long-haul aircraft. Using touch screens, passengers can choose between a huge array of late-release films, television series and documentaries, music options, and interactive games. 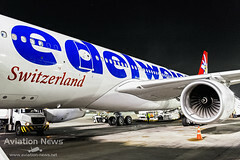 Iberia’s long-haul flights also offer Wi-Fi, enabling passengers to go on line and to make and receive voice calls or SMS from their own mobile devices. 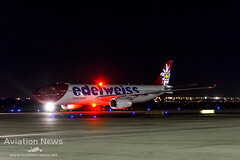 This entry was posted in General Aviation, Routes News and tagged Airbus, Airbus A330 family, Aircraft, Airlines, Aviation, Aviation News, Business, Business Class, Iberia, Madri, Miles, oneworld. Bookmark the permalink.